Two Bostonians, Edward Curtis and Edward Mitchell, formed a partnership in the 1860's. Both had been involved in the printing trades. 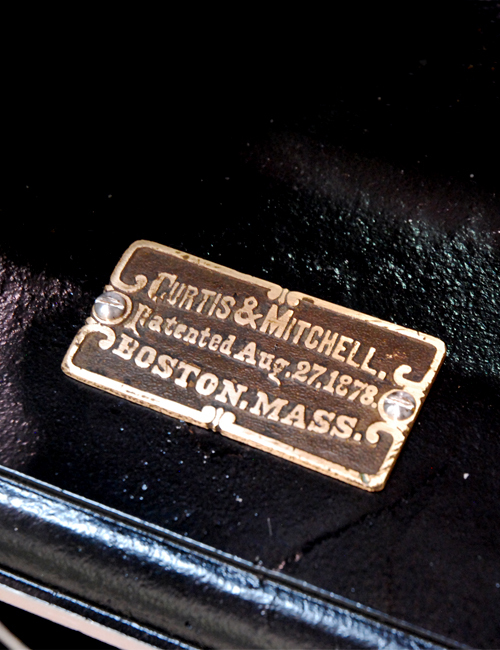 Curtis, according to Elizabeth Harris, was a type founder, while Mitchell listed himself as an agent for the Gordon press. Along came an inventor by the name of Jarvis Burrell. 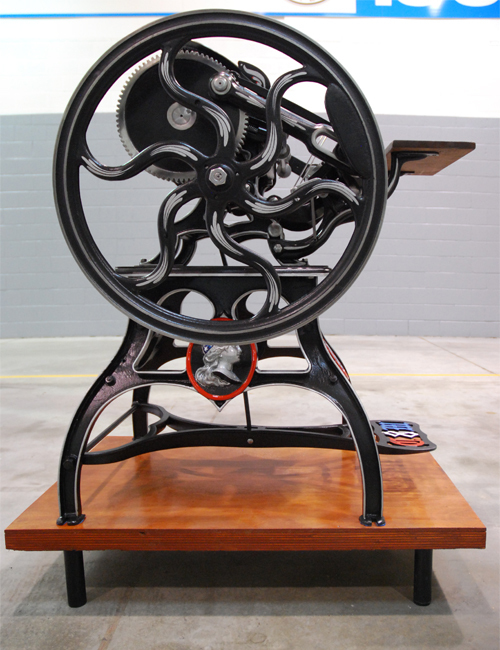 In 1878, Burrell assigned his novel patents for the Columbian Rotary Press to the two partners. 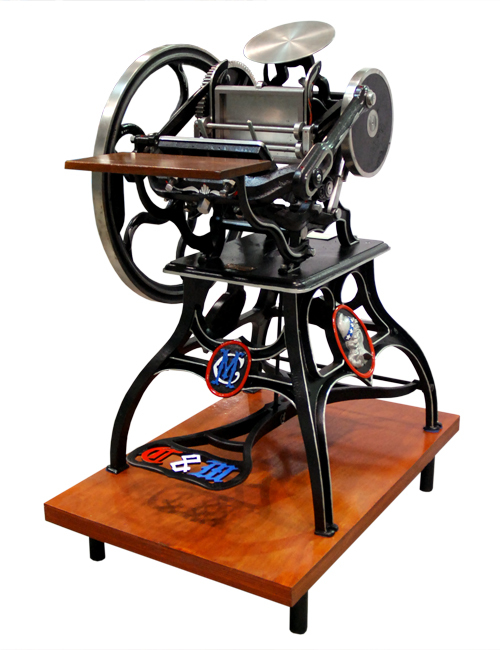 The little platen was made and sold in two floor model sizes of 6" x 9" and 8" x 12". 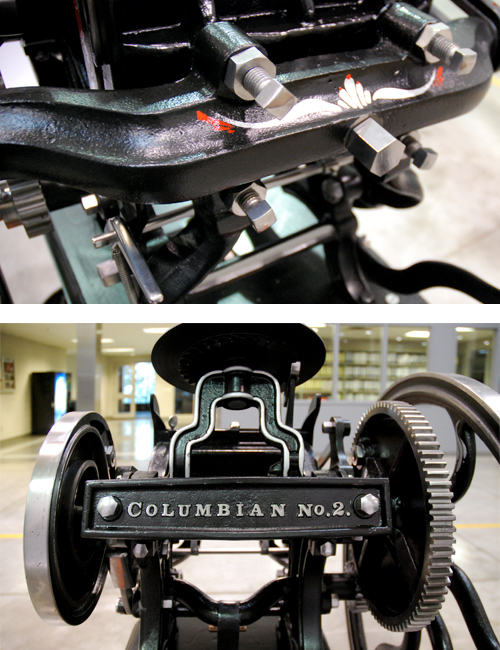 The name "Columbian" was perhaps borrowed from the earlier success of George Clymer's hand press, but it's not really known for sure. The word "Rotary" also bears no specific relevance to this platen as it worked almost identical to other platens of the day, except one unique difference. This difference was the clever and unusual dwell Burrell designed into his press. This involved the platen being controlled not only by two side arms, but also an inner cam. 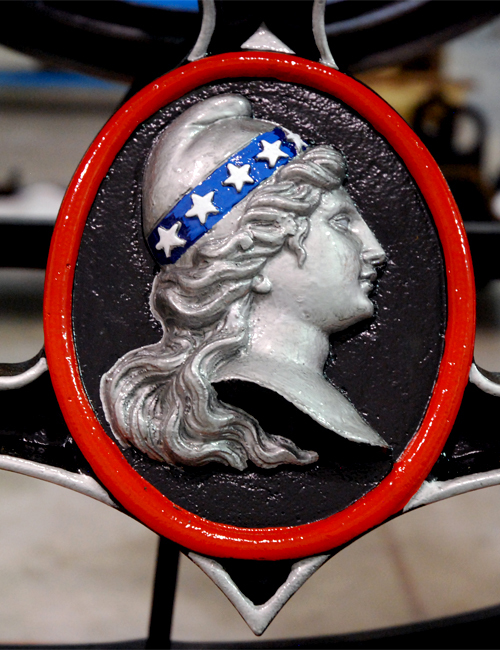 Besides the bas-relief cameos on both sides of the base, the Columbian was a rather cheaply made and weak platen press when compared to the Gordon. True, it is beautiful to look at, but it was all dressing. 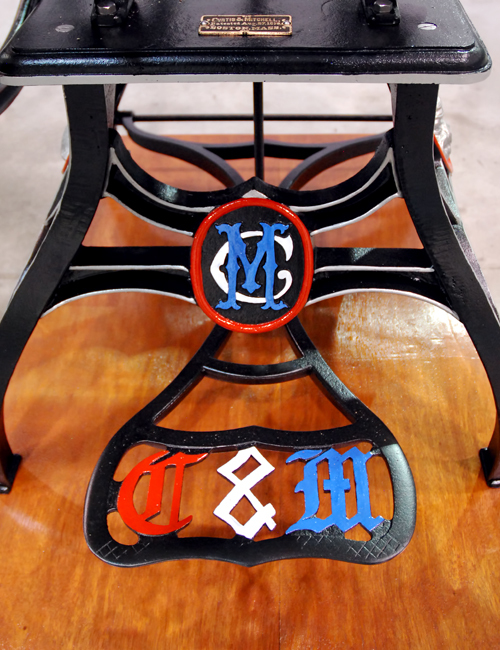 C & M also built other machines including table-top platens. Our example had many challenges. The dwell mechanism was completely missing and the supports for the platen had broken. Through research, we were able to fashion a new dwell lever which will allow us to restore the complete machine to an ex-factory 1878 level.